UK based Web Hosting Service Provider Netcetera has been named the ‘Best SME Business Hosting’ provider in the annual UK Internet Industry Awards. The accolade was announced at the prestigious ISPA Awards held on Tuesday, 3rd July in London, entertained by comedy from the hilarious John Maloney and some thoroughly interesting keynote speeches from Tom Scott and Dr Peter Cochrane. Organised by the Internet Service Providers’ Association (ISPA UK), the ISPA Awards are now in their 14th year and celebrate innovation and best practice in the Internet Industry. Netcetera fended off competition from a number of industry rivals to earn the prestigious accolade. The ISPA Awards are highly respected, with all nominees going through two months of strict testing by ISPA technical testing partners. The technical tests periodically assess nominee’s services specifically for download speed and availability. In addition to the technical tests conducted by the ISPA, nominees are judged on value-added services, which include support, security, flexibility and pricing and taking all these factors into account, Netcetera were found to be at the forefront and crowned as the 2012 ‘Best SME Business Hosting’ Award winners. Netcetera demonstrated their confidence in their SME Business Hosting service and their focus on adding customer value through the 30-day no quibble money back guarantee offered to all customers. This is the second year in a row that Netcetera have won a prestigious ISPA award. Last year they won the ‘Best Shared Hosting’ Award. Netcetera has been providing web-hosting solutions since 1996 and has invested heavily in platforms that have been developed from the ground up. Since opening their world-class data centre in the Isle of Man in March 2007, they have achieved 100% uptime, and recently this was acknowledged by Netcraft’s as the ‘Most Reliable Hosting Company Worldwide’ in June 2012. PHOTO CAPTION: Netcetera collecting the ‘Best SME Business Hosting’ Award at the UK Internet Industry Awards. The ISPAs – the UK Internet industry awards – are unique as they are awarded to people and organisations in the industry following rigorous testing and an independent judging process and reflect the broad nature of the internet service provider sector. The Internet Services Providers’ Association (ISPA UK) has been organising the UK Internet Industry Awards since 1999 to herald the best of the Internet industry and to celebrate innovation and best practice. Formed in 1996, Netcetera is one of Europe’s leading Web Hosting service providers, with customers in over 60 countries worldwide. 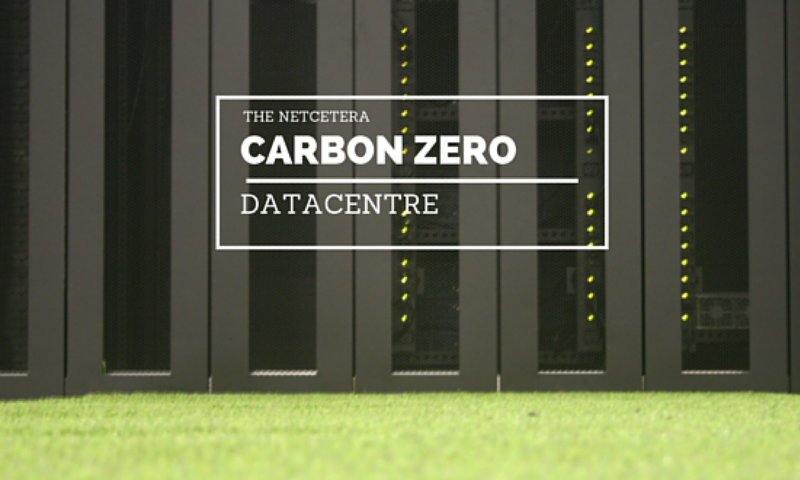 Based in the Isle of Man, Netcetera operate from their 16,000 square foot ISO27001 certified Data Centre facility. They provide solutions to meet the needs of businesses of all sizes – through expert IT personnel along with well-defined ISO9001 processes. As the premier provider of Datacentre Co-location, Cloud Hosting, Dedicated Servers and Managed Web Hosting Services in the UK, Netcetera offers an array of services designed to more effectively manage IT infrastructures. Netcetera is very proud to announce that they have been nominated as a finalist for the fifth year running in the prestigious ISPA Awards 2011, the UK internet industry awards. They are particularly delighted that for the past two years they have been nominated in the Best Shared Hosting category. This year 46 companies have been nominated across 13 categories. All entrants in the hosting categories were subjected to two months of strict testing by the ISPA’s technical testing partners. The ISPA awards are unique because they are awarded to people and organisations in the industry by their peers. They have been organised since 1999 to herald the best of the internet industry and to celebrate innovation and best practice. Winners will be announced on the 7th July and it is down to the independent panel of ISPA award judges to decide on the winners. Flexibility: Can size of site change without penalty or being tied into a contract? We strive to lead the industry through constant innovation and by delivering excellent value to our customers. Netcetera offers a full range of Shared Hosting Solutions, depending on your organization’s needs. Whether your launching the next hit blog or creating an online shopping empire, Netcetera’s range of managed hosting options cater to your needs. Netcetera is perfect if you’re promoting a new business venture, launching a full e-commerce shop, blog or small business portal. Netcetera is Europe’s leading web host and had been providing clients with web hosting solutions since 1996. Netcetera, one of Europe’s leading managed hosting and data center providers, has been nominated as one of five finalists in the prestigious 2010 ISPA Internet Industry Awards in the Best Shared Hosting category. The battle for finalists’ places was ultra-competitive again this year with a large number of entries in all categories. Finalists in the majority of categories are selected based on three months of rigorous testing by ISPA’s technical testing partner, Epitiro. The ISPA awards are unique because they are awarded to people and organisations in the industry by their peers. They have been organised since 1999 to herald the best of the internet industry and to celebrate innovation and best practice. Entrants in the Best Shared Hosting category are tested on the availability and performance of their web servers as well as features, value for money and other criteria. Established in 1996, Netcetera is one of Europe’s leading Web Hosting service providers, with customers in over 60 countries worldwide. The company is a leading IT infrastructure provider offering datacentre co-location, dedicated servers and managed infrastructure services to businesses worldwide. Responsibility for selecting the winners now lies with a high-profile panel of expert judges, which is this year chaired by Think Broadband Editor Andrew Ferguson. The winners will be announced on 8th July 2010, at a sparkling black tie awards ceremony at the Grosvenor Marriott Hotel, London. Netcetera was established in 1996 and is the largest web hosting company on the Isle of Man in addition to being one of Europe’s leading managed hosting and datacentre providers. Providing co-location, dedicated servers and managed hosting infrastructure, Netcetera provide services to businesses in over 60 countries worldwide. Netcetera, one of Europe’s leading managed hosting and datacentre providers, today announced the renewal of their Gold Partner status with Microsoft in line with the companies Corporation’s Partner Network. The Microsoft Partner Network, formerly the Microsoft Partner Program, is a community born from the continued commitment to serve the needs of partners and to help them and their customers reach their maximum potential. The Gold Partner designation recognises Netcetera’s expertise and total impact in the Microsoft technology marketplace showcasing competencies in Hosting Solutions and Networking Infrastructure Solutions whilst reflecting Netcetera’s breadth and depth of experience, outstanding customer satisfaction and a commitment to the highest standards.